Solar Thermal, despite being somewhat of a newer alternative energy technology is finally settling in to the broader awareness of consumers across the nation. 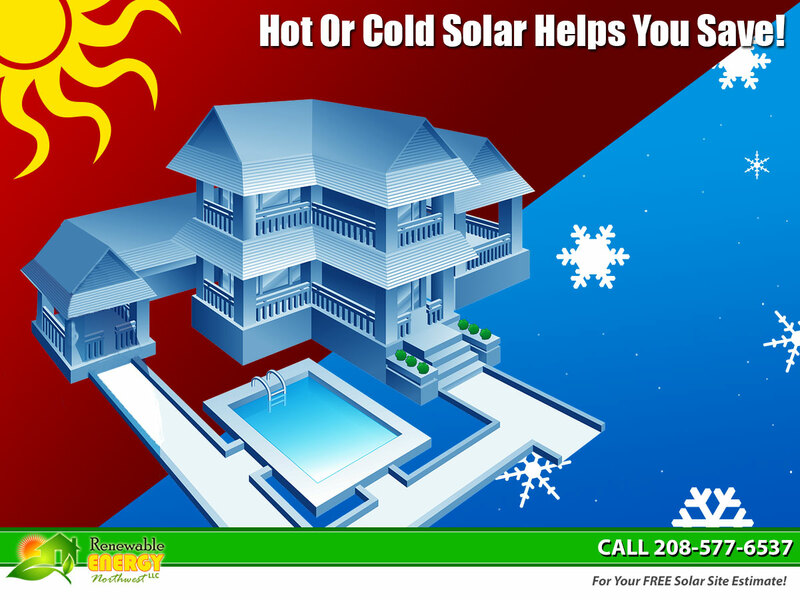 It’s ability to cut costs by saving on heating the water for your home is easily it’s most well known application, with solar radiant heating and snow melt being close behind. But did you also know that the same system that you can use to slash your energy budget in half can also help cool your home or business as well? Floor cooling is similar to floor heating that has been used in Europe and other parts of the world over the last several decades. The lines we use to run solar radiant heating through your floors can just as easily use the cool water already present in your home to circulate cool water throughout the building as well. This ambient cooling provides a great, efficient way to move cooler temperatures through your home in the Summer months without overburdening your electrical system. This style of comfort cooling is exceptional because it works in harmony with your body, cooling not only through the touch but also by lowering the temperature of the air itself as the cooler air moves through the system. Radiant cooling energy savings depend on the climate and other factors, but on average across the US savings are over 20% compared to conventional systems. 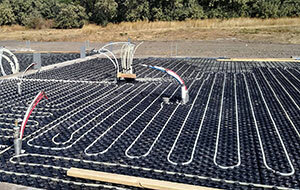 Solar radiant cooling also generally has lower first costs and lifecycle costs compared to conventional systems. While solar radiant heating and cooling may not be right for all applications, spaces with large air volumes, such as loading docks and warehouses, are especially good for radiant floor heating because heating all that air would be inefficient. In more typical uses solar radiant hvac is more efficient than forced air heating or cooling because there are no drafts or duct losses. Whether it’s for adding comfort to your home or business, we know that solar thermal can help you save on your energy costs! Through our partnerships with other exceptional local service provides we’re able to create a comprehensive and holistic energy plan that’s sure to help you save by harnessing the power of the sun! Call 208-577-6537 today to schedule your free solar site visit!